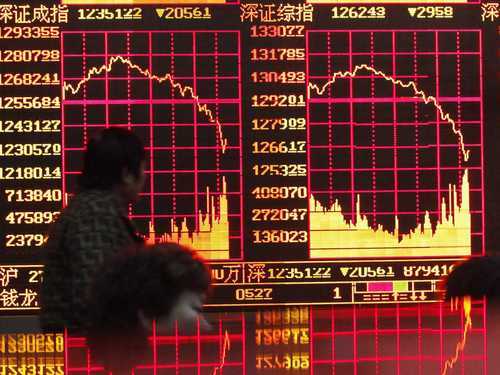 China Falls Hard: What's Going On? A big contributor to the China markets collapse was a clear message from their central bank -- the People's Bank of China (PBoC) -- telling banks that their liquidity issues were their own problem, and that they needed to sort them out. Suddenly, the perception is that central banks around the world are reluctant to keep printing and throwing money at the banks to keep them solvent ad infinitum and the markets are throwing a fit. It is never easy to come off feel-good drugs and tantrums are part of the course. Global growth is slowing down considerably and beggar-thy-neighbour competitive devaluations are not going to work to lift all major economies out of trouble simultaneously. Something's got to give. Watch: Bond yields are rising and the tide is turning against further QE as ATCA 5000's Socratic dialogue began to point out more than one month ago. Central banks are simply unable to do further QE forever and ever if bond yields rise much further than they already have. High bond yields ultimately cause debt servicing costs to rise to an exorbitant level, which fundamentally undermines the key premise of QE in the first place as a mechanism to lower borrowing costs! Note that US 10 year bond yields are at 2.59% and rising. What does that mean? Interest rates are going to go up sooner rather than later and not stay down.